Here’s a fun Wowie done by our Discovery Guides that explains about two key construction forces: compression and tension. 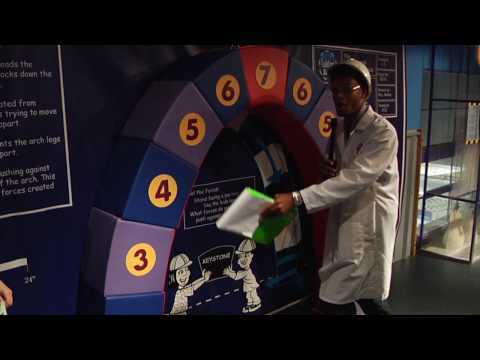 The arch you see you can knock down and rebuild in our Building Zone Gallery. It takes about two people, but really clearly illustrates how compression is key to creating an arch bridge. By the way, the Roman aqeuducts, many of which are still standing, are just arches built in much the same way as our foam arch. Not even motar holds them together, just good ol’ physics!